A new investigation by human rights NGO Amnesty International has exposed how an engineering company, involved in building infrastructure linked to the 2022 World Cup in Qatar, took advantage of the country’s notorious sponsorship system to exploit scores of migrant workers. The company, Mercury MENA, failed to pay its workers thousands of pounds in wages and work benefits, leaving them stranded and penniless in Qatar. 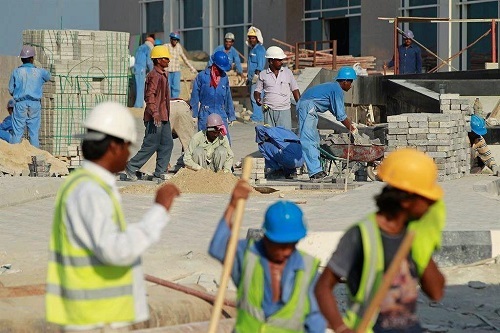 Amnesty is calling for the Qatari government to ensure former Mercury MENA employees receive the money they earned, while ensuing there are fundamental reforms to the “kafala” sponsorship system that allows companies in Qatar to exploit migrant workers. Between October 2017 and April this year, Amnesty interviewed 78 former Mercury MENA employees from India, Nepal and the Philippines, all of whom are owed substantial sums by the company. In Nepal, where more than a third of the population lives on less than £1.50 a day, Amnesty interviewed 34 people who are owed, on average, around £1,500 each. Mercury MENA, formerly known as Mercury Middle East, played an important part in constructing a showcase stadium central to Qatar’s winning presentation to FIFA in December 2010. Since then, migrant workers employed by the company have worked on some of the country’s most prestigious projects, including the “Future City” of Lusail which will host the opening and closing games of the World Cup. Mercury MENA employees also worked on the Barwa al Baraha workers’ accommodation complex – promoted by Qatar as a sign of improving conditions for migrant workers. Amnesty’s research found that there were delays with Mercury MENA paying salaries from approximately February 2016 onwards, and that delays became more persistent and remained unresolved in 2017. “Many Mercury MENA employees had made huge sacrifices and taken out ruinous loans to take jobs in Qatar. They ended up working unpaid for months on end and were let down by a system which failed to protect them. “By ensuring they get the wages which they are owed, Qatar can help these migrant workers to rebuild their lives and show that it is serious about improving workers’ rights. “In 2017 the Qatari government was applauded after announcing a programme of labour reforms. But even as this agreement was being signed, scores of Mercury MENA employees were stranded without pay in squalid accommodation, wondering where their next meal would come from and if they’d ever be able to return home to their families. “There is a major opportunity for Qatar to transform its record on workers’ rights ahead of the 2022 World Cup, and providing full compensation to Mercury MENA’s workers would be an important sign that the authorities are willing to grasp it. Amnesty has conducted further research on Mercury MENA’s Nepali employees, interviewing 34 of them after they returned home. This has highlighted how the Nepali government’s lax regulations contributed to their exploitation. Recruitment agencies hired by Mercury MENA illegally charged workers high fees for their jobs, compelling them to take out high-interest loans. This pushed them into severe debt that made it difficult for workers to escape or challenge exploitative conditions. Some Nepali workers interviewed by Amnesty had been forced to sell land or take their children out of school in order to pay debts they incurred to pay for their migration to Qatar. 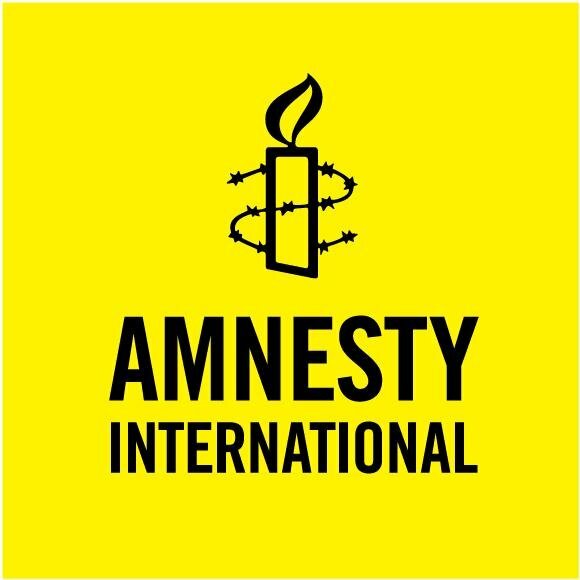 One agency admitted to Amnesty that it had knowledge of incidents of labour rights abuse at Mercury MENA after it had recruited workers for the company, but did not follow up with the workers to ensure their labour rights were being respected, despite being contacted for help. No measures have been taken against this agency by the Nepali government. Amnesty has previously documented how the continuing failure of the Nepali authorities to curtail the illegal conduct of recruitment agencies has enabled the abuse of Nepali migrant workers abroad. The Nepali authorities also failed to provide adequate assistance to their nationals in Qatar – for example in 2017 when Nepali Mercury MENA employees found themselves stranded in a workers’ camp lacking food or money having not been paid for months. The Nepali authorities were made aware of this situation on at least four separate occasions – twice by workers themselves and twice by Amnesty – but ignored their pleas for help to recover their wages or return home. This was despite the existence of a £29m Migrant Worker Welfare Fund. Even today the Nepal government has not blacklisted Mercury MENA, which means there is nothing stopping it from recruiting Nepali migrants in the future. Mercury MENA also failed to provide legally-required residence permits to workers, which placed additional restrictions on their ability to move jobs or leave the country. In at least one case the company refused a worker’s request to return home by denying him an exit permit. Under Qatar’s sponsorship system, companies have had the power to prevent workers from leaving the country or changing jobs, limiting their options to escape abuse or challenge their treatment. The “exit permit” requirement was removed for most workers earlier this month. Last November, Amnesty spoke to the CEO of Mercury MENA who acknowledged long-standing pay delays but denied exploiting workers. He said that Mercury MENA had been the victim of unscrupulous business partners resulting in “cashflow problems” and a number of disputes over payments with contractors and clients. Documented communications between Mercury MENA and its workers show that the company’s management were fully aware of the problems with salary payments, and continued to make promises to pay wages that were ultimately not kept. Amnesty sent further emails to Mercury MENA’s CEO in December and January requesting information about their situation and what actions they were taking, as well as a letter in July summarising the key points of our investigation. There has been no further response. Despite the promise of major reforms in 2017, and the abolition of the exit permit for most migrant workers early this month, Qatar’s labour laws still fail to comply with international standards. Employers can still prevent workers from changing jobs in Qatar, sometimes for up to five years. Workers who change jobs without the permission of their employers are accused of “absconding”, a criminal charge leading to possible detention and deportation. Both Nepal and Qatar have roles to play in remedying the harm suffered by former Mercury MENA employees, and in ensuring that this kind of exploitation does not happen again. Nepal and Qatar are obliged to protect migrant workers from abuse under a range of international treaties they have ratified – including the International Labour Organisation’s Forced Labour Convention – and to provide remedy for abuses including unpaid wages. Amnesty is calling on the Nepal and Qatar governments to support the former Mercury MENA workers to get justice and receive the money they’re owed, and to take steps to prevent similar cases from arising in the future.